For a short video introduction click here. Being able to do a Bible study for yourself is foundational to growing and maturing in the Christian life. If we are relying on a once or twice a week sermon, we are slowly starving to death. We need to know how to feed ourselves from the Word of God. How To Feed Yourself is a totally FREE course. Step-by-step we lead you through how to study the Bible. Weekly projects will have you practicing what you are learning and illustrating how you can apply it to any Bible study you want to do. It doesn't matter if you are a teenager - who will be in the near future making some of the most important decisions of your life and need the guidance of Jesus - or a busy adult who recognizes the need for the wisdom of God in your life or somewhere in between. You do not need any special skills or knowledge to master these Bible lessons, just a desire to know Jesus better and understand and apply the Word of God to your life. Don't delay, sign up and go through these lessons one step at a time. Everyone can understand the Word of God. Don't miss this opportunity. You can sign up below and receive these lessons every week in your inbox. This page will also be a resource center for Feed Yourself students. 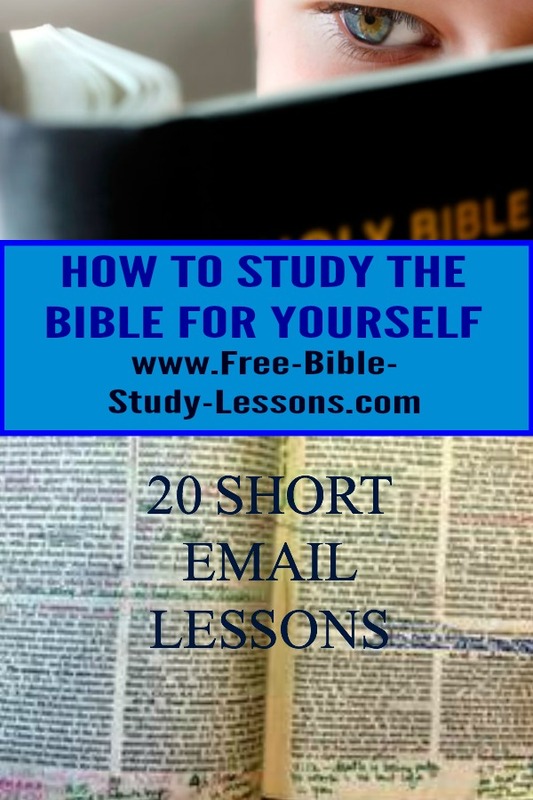 If you are subscribed to the newsletter or autoresponder below, come here to access the Bible Resources and forms you will need to complete your course. Being able to understand the Bible is not for an elite few, it is the honour of every Christian. After you have completed this core course, you may be interested in other courses to help you study the Bible. Begin your amazing journey by clicking the link below! Bible Study: Are You On Track? For subscribers and students here is a page of PDF Course Forms and Bible Resources. You can also access the Bible Gateway search engine to look of Scriptures at the bottom of any page on this site. If you are enjoying this course and believe in what we are doing, you may wish to help us spread the word. [This is above Tithing which goes to the local church.] Any amount would be encouraging and helpful [just click on the donation button on any page], but, of course, we don't want you to feel under any obligation. God loves a cheerful giver and we don't want any other kind. God bless.